Four Ideal Commercial Evomax 100 boilers with frame and header kits have been installed as part of an extensive retrofit at the Lymington Health & Leisure centre in Lymington, Hampshire. 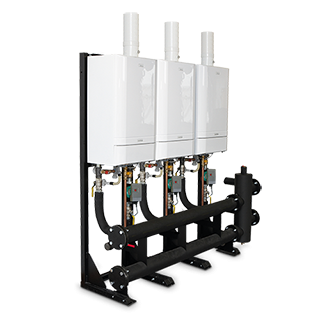 The new Evomax boilers, which were specified by loyal customer New Forest District Council, were installed in the boiler room to supplement two older, standard efficiency boilers which were deemed to be inefficient and did not modulate, meaning output was all or nothing when fired. 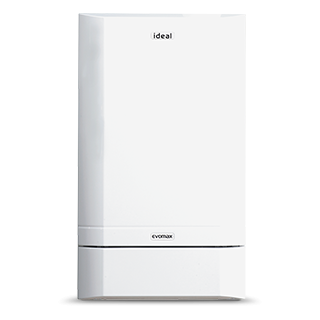 New Forest District Council have implemented a programme of refurbishments across numerous council sites involving Evomax and other Ideal Commercial boilers. The council has found the combination of ease of installation and high efficiency readings to be very impressive, along with an attractive appearance. The introduction by Ideal of the new Multiline cascade flue assembly allowed more of the work to be carried out by the council, thereby reducing the cost of the flue specialist materials and labour. The new Evomax boilers also make sense financially. “We are predicting a 10% saving on the gas bill every year which equates to £4,000 per annum. The complete project cost under our £30k budget so, at current gas costings, we are hoping the Evomax boilers will pay for themselves in six or seven years,” Rob said. Additionally, the leisure centre can look forward to a quieter boiler room as the existing boilers were very noisy when running.